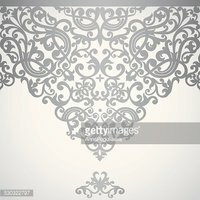 Vector ornate border in Victorian style. Vintage ornate card in east style. Vintage ornate cards in oriental style. Decorative element border. Abstract invitation card.